As a coolness creeps into the air it signifies fall is right around the corner and the perfect time of year for ghost hunting in the historic towns, buildings and structures of Greater Wilmington, Delaware. With as much history as we have throughout the Brandywine Valley, it should not be a surprise to anyone that there are plenty of locations throughout our community that claim to be haunted. So, if you are the type of person who enjoys searching for paranormal activity, we have four ghost tours that make it worth planning a fall-season weekend visit. Located just north of downtown Wilmington is a 150-year-old mansion that is reported to be haunted. Over the years, people have claimed to have experienced footsteps, cold spots, and apparitions here. It is also said that you can hear sounds of children playing throughout the night. Rockwood Mansion was featured on "Ghost Hunters" on the SyFy Network. During that show, the museum director discussed his own experience seeing visions of the former owner of the mansion in a red smoking jacket, and explained that many guests to the museum have either seen or heard the museum&apos;s ghost dog. We have previously discussed Fort Delaware as a place for history buffs to explore, but like any good American fortress, there are also plenty of ghost stories to be told of this long abandoned, but not forgotten structure. Fort Delaware was used as a prison camp for Confederate soldiers during the Civil War, and the man in charge of the fort during that time was widely known as "General Terror." For years now, people investigating the old prison barracks have reported all kinds of ghostly encounters ranging from temperature fluctuations to strange noises and being poked by spirits. 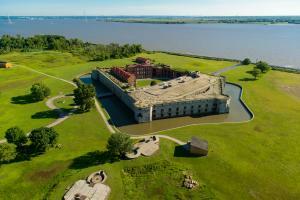 There are multiple options for ghost tours of Fort Delaware, depending on how serious you are about your experience. But no matter which tour you decide to go with, remember, there’s no escape as Fort Delaware sits on an island in the middle of the Delaware River. 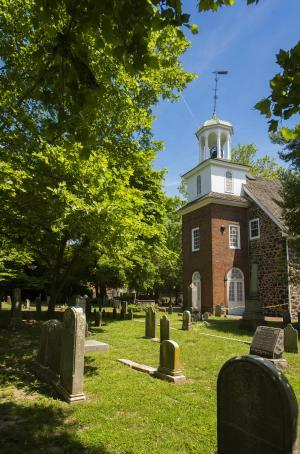 Any town with as much history as New Castle, Delaware, which dates to 1651 when it was settled by the Dutch, is bound to have a few ghost stories floating around, but the ones you will find here are quite a bit more than just stories. On the "Haunting in History Walking Tour" visitors will tour the haunted Amstel House, where they might catch a glimpse of the eerie "Woman in Blue." The tour also takes visitors through the cobblestone streets of New Castle while telling some chilling stories that illustrate the darker side of this historic town. 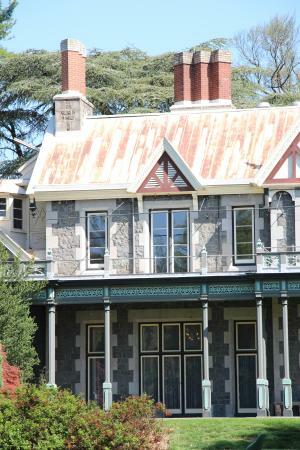 While the tour of the Amstel House is exciting, the walking tour will also highlight many other places in town that you can further investigate on your own, taking as much time as you like to explore. There aren&apos;t many haunted locations more intimidating than an old graveyard, and the one you will find outside the Old Swedes Church will certainly not disappoint. This 19th century cemetery is located right in the heart of Wilmington, and a nighttime tour of its grounds will include stories about the people who are buried here and the spooky havoc they have caused for years by scaring innocent visitors. The graveyard itself transports visitors through four hundred years of history and tells the story of the settlers of the New Sweden Colony. 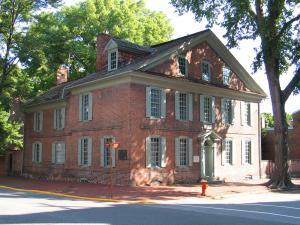 Whether you are a serious ghost hunter looking to bring your own equipment and locate a major breakthrough or just someone looking for a creepy experience to share with friends, the ghost tours you will find here in Greater Wilmington are a perfectly spooky way to spend a weekend in the Brandywine Valley.